Dr. Crandon well known spiritualist says spirit messages from Houdini the magician and Valentino the actor are fakes. “A person must be dead four or five years before he can communicate with us. We learn this from spirits with whom we have been in touch”. Physicists wonder where those spirits are when they talk. It they are on one of the distant stars, light with travels 186,000 miles a second would take a million years to get here; and sound, as we know travels more slowly than light, 331 meters a second against 186.000 miles a second. If Houdini and Valentino, on some distant star, began talking loud enough for their voices to reach us, their words wouldn’t reach the earth in time to be heard by our descendants 500,000,000 years from now. The story’s the thing. That’s an old saw, but it gains emphasis in the presentation of “The Four Horsemen of the Apocalypse” on the screen. The book has sold beyond its 150th edition. Some reviewers say the spectacle follows the story of Ibanez’s novel with unfaltering fidelity. Others see variations from the book action. But all agree director Rex Ingram has created a film epic. This was done without the talent of one “star”. 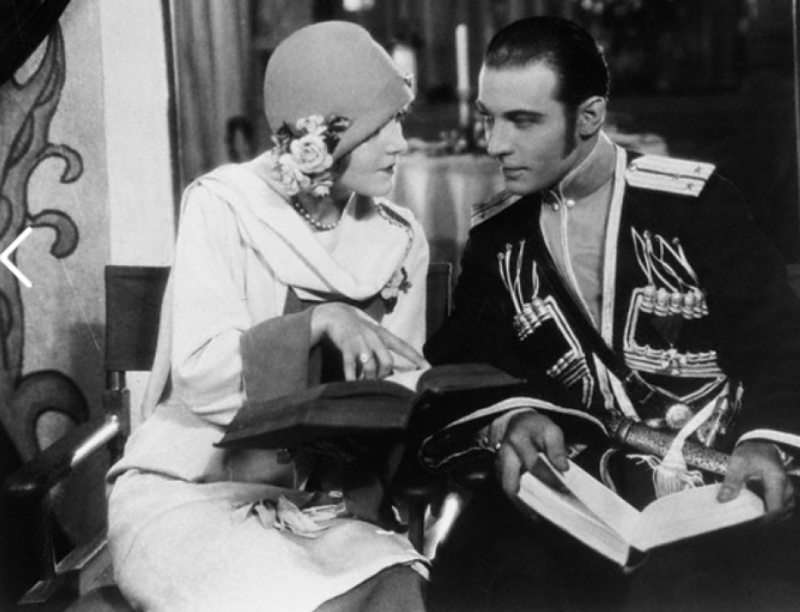 Rudolph Valentino little known before his advent in the picture, is the hero. He was educated in Italy to be a scientific farmer. Alice Terry was born in Vincennes, Indiana 19 years ago. She was employed as an extra when she visited a studio with a friend and says she had no ambition to be a movie actress. The sum of her screen experience before Ingram selected her for his spectacle was three months as a extra and two months as a juvenile lead and the leading role in one production of an indifferent quality. The picture also brings prominence is June Mathis who visualized the story and prepared the scenario. The novel has been widely read. The story is too complicated to be condensed in a few lines. Apocalypse means revelation and the four horsemen are war, famine, pestilence, and death. The story deals with the horrors of war and the reality is this happened in previous wars and wars yet to come.